Dr. Rubén Olivárez is a professor and Executive Director of the Cooperative Superintendency Doctoral Program here at the University of Texas at Austin. He is also holder of the L.D. Haskew Centennial Endowed Professorship in public school administration in the Department of Educational Leadership and Policy. Dr. Olivárez began his tenure with the University in August of 2006, succeeding Dr. Nolan Estes, who, along with Dr. L.D. Haskew, founded and pioneered the University's nationally acclaimed superintendency doctoral program. 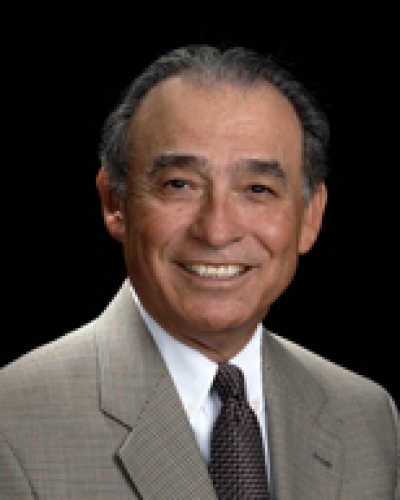 Dr. Olivárez's career spans a period of 46 years in public education. He has served in various teaching and administrative capacities, in public schools, higher education, and the State's Department of Education. He served as a teacher, principal, and central office administrator in the Ft. Worth, Austin, Dallas, and San Antonio Independent School Districts. In 1987, he joined the Texas Education Agency as Executive Deputy Commissioner for School Accreditation and Accountability. During his tenure, Dr. Olivárez provided leadership in various functions in the departments of School Financial Audits, Governance Operations of Public Schools, Civil Rights and Equal Education Opportunities, Charter Schools, and School Improvement Intervention and Support Services. As a leader in advancing social justice and equal educational opportunities for all students, he is known for his beliefs, stating that "accountability at all levels of the education system is vital to student success." He is most recognized for his commitment to teachers stating that "the teacher is the most important and only real program in education, and principals are key to school effectiveness." He returns to the University of Texas, where he also served as assistant professor in curriculum and instruction, an administrator of various multicultural, bilingual education graduate teacher education programs during the early tenure of his professional career. Advocates for social justice and equal educational opportunities for all students, and stresses the importance of teachers in education and principals as a key to school effectiveness. David's Law, Senate Bill 179 - Cyberbullying and the implications of David's Law in Texas Public Schools For my M.Ed. I looked at vertical alignment equity with my action research.